A peer tutor giving Math support. WHAT CHALLENGES DO WE ADDRESS? 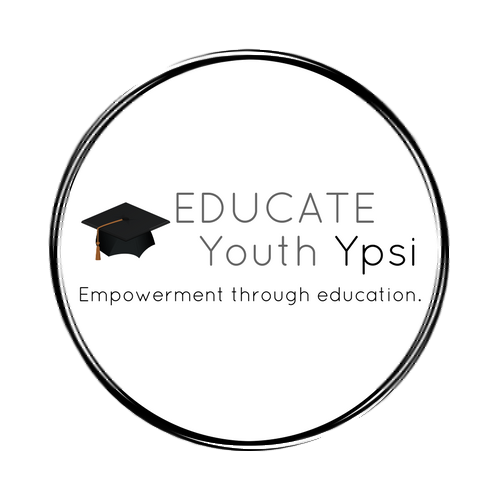 The Ypsilanti school system faces widespread challenges that have resulted in across-the-board under-education for students, particularly those from low-income families. By the end of the 4th grade, low-income Ypsilanti students are, on average, performing two years behind grade level. Youth living below the poverty line have an even lower chance of receiving instruction appropriate to their grade level. HOW DID THE H.O.P.E. PROGRAM GET STARTED? and solidifies the education gained in school, encouraging students and increasing their motivation to learn. HOW DOES THE H.O.P.E. PROGRAM WORK? Each participant sets an initial meeting with Gail during which they review the H.O.P.E. Program participant’s work agreement and fill out paperwork. Topics to be covered during the program include reading, writing, math, science and lab skills, studies, problem solving, critical thinking and community involvement. WHY ARE H.O.P.E. PARTICIPANTS PAID? Dedicated to Make a Change is committed to making sure our programs are accessible for any youth who wish to participate. For long-term programs like H.O.P.E., compensating youth for their time is a way of allowing youth to attend who would otherwise have to be working other jobs to support themselves. Upon becoming a participant of the H.O.P.E. program, youth are provided with transportation to the bank to open their own accounts. Pay is contingent upon attending sessions/work days with an open mind and respectful attitude. Participants who demonstrate inappropriate behavior will be asked to leave the session/work day without pay after their first infraction, and a second infraction will result in dismissal from the program.